Internships provide positions of responsibility for students in a professional environment under the supervision of an on-site professional and a faculty advisor. 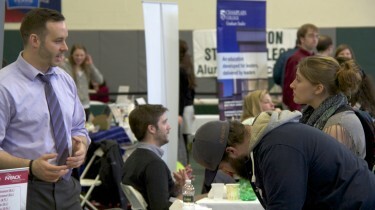 Students are placed with participating employers for work terms during which they may earn generally up to 12 academic credits per semester in addition to acquiring on-site experience. While internships may be on-campus or off-campus experiences, they are generally characterized by an independent design and the integration of classroom work with practical experiences. Every internship should include some critical, reflective component. An internship is designed to introduce the student to the opportunities, duties, and responsibilities of personal career objectives through an experience collaboratively planned by the student, academic department, the employer, and the Internship Coordinator. Thus, the student not only is made aware of the potential of a chosen career, but also becomes more acutely sensitive to the value of, and the necessity for, remaining academic studies. 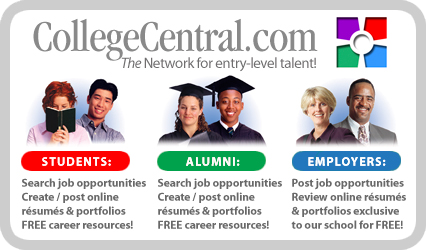 Internship sites can be found locally, nationally, and internationally. While all internships carry academic credits, some internships also provide financial remuneration.